May 04, 2017 It Was Definatley A Different World! May 04, 2017 An Awesome Program With A Good Look Into Korean Culture. Past Review South Korea: Life Changing! September 19, 2017 Awesome And Totally Worth It. March 30, 2017 An Incredible Experience And Adventure! July 23, 2016 Bip Is Great!! Begun during the summer of 1999, the Bahrom International Program provides international students an unique opportunity to achieve a better understanding about the various aspects of Korean culture. Participants will learn about the Korean life style, historical ad religious background, the economic struggles, political tension with North Korea, city streets, art, and even the Korean language. 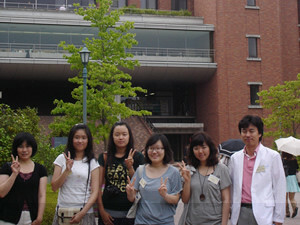 All of this is made possible by experiencing Korean life through this four-week intensive program in English. All participants will be matched with a Korean partner, exchange students of SWU, with whom they will participate together in all programs. Through this close interchange, and by mixing with a student group half-international and half-Korean, participants will experience a constant interaction of cultures.